Earlier this year, Ben Carson, the secretary of Housing and Urban Development, noted that he would most likely be stepping down at the end of the president’s first term. Which means that the president isn’t just losing his personal-walking ASMR station in Carson, he’s also losing his senior most black. While the position as most influential (and only) black in Trump’s cabinet was held by Carson, it didn’t really spout anything for the rest of us blacks unless you are the owner of the furniture store that sold Carson his office breakfront; then for you, you came up. Trump reportedly went down to that place and measured a few blacks before deciding on former Republican presidential candidate Herman Cain. The move isn’t official but Trump is reportedly considering Cain for the Federal Reserve board and is awaiting his physical results and 40-yard-dash times. According to USA Today, assuming that Cain posts good results in the bench press and clears a background check, the former Godfather’s Pizza CEO is going to become the senior most black in Trump’s brood. Many will remember Cain from the hit show, That’s My Mama for his “9-9-9" tax plan during his run for office in 2012. Who knows what the hell that plan was and who are we kidding? They will remember Cain as the lone black face during those Republican debates. Or maybe they will remember Cain for repeatedly being accused of sexual harassment. Trump, a fierce critic of the central bank, named Reagan-era economist Stephen Moore to a spot on the seven-member Federal Reserve board last month. Taken together, the appointments underscore Trump’s desire to make significant changes to Fed policy. In December, the Fed said it had penciled in two rate hikes this year following four increases in 2018 as part of a campaign to bring rates back to more normal levels as the economy has improved since the Great Recession. Trump has argued that those increases have slowed growth in an otherwise strong economy. Wait, I vaguely remember Cain’s hit “9-9-9 is a joke” (and by vaguely remember, I mean that I Googled it) as an ambitious idea to overhaul taxes as a flat 9 percent tax rate. Meaning household incomes, corporations and national sales would all be taxed 9 percent. While it was never going to happen for Cain, he was forced to withdraw his name after after “several women said he had sexually harassed them and one alleged a long-term extramarital affair. 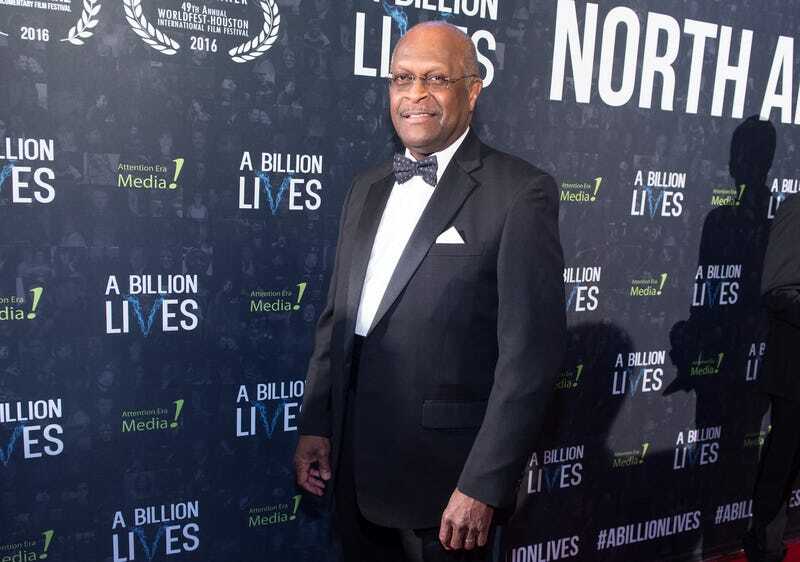 Cain denied the allegations,” USA Today reports.